The pace range in the blue box includes my goal average pace of 10mins/mile, but I'm having mixed feelings about the interval changes. I'm a firm believer that taking strategic walk breaks will help improve your overall performance and will significantly reduce your injury risk and minimize the extent to which your legs get fatigued. And, to be fair, I used the 60s:30s interval ratio when I ran the Chicago Marathon and it worked well for me (I was far from the projected goal pace, but I finished it without injuries). But, there are times when it's hard to stick with a interval ratio that's so short (for example: the first mile or so of every major race) because the starting and stopping can become an obstruction on the course (it's also pretty annoying). I also think that the walk breaks should be around 45 seconds. In the past I've taken walk breaks for a full minute and I really don't think I need that much time, but I definitely think I need more than 30 seconds (much less 20 or 15 seconds)! I'm up for trying different things to see what works best for me. And I think that this period [i.e. 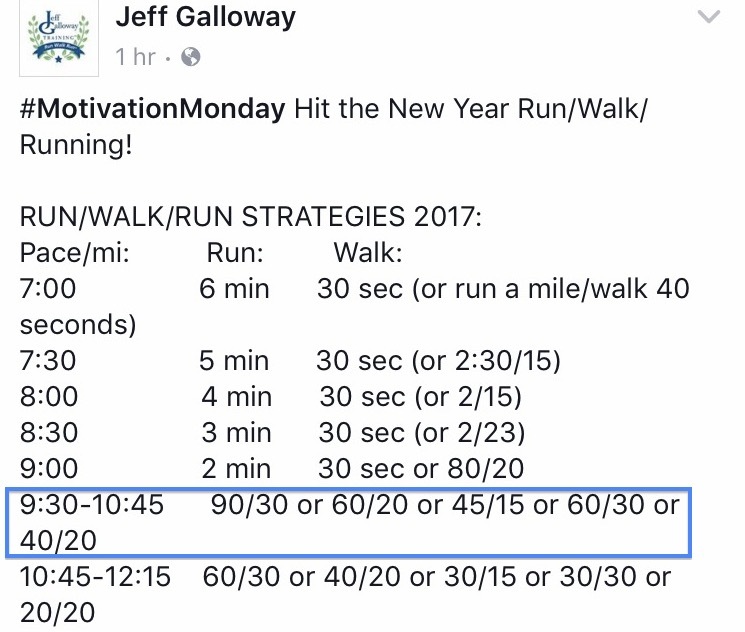 the first 5 months of the year], which will be my "half marathon season", is the best time to see if I can improve my pace based on these new interval recommendations. My Garmin only allows changes in 15s increments though so I will likely try the 90s:30s or 60s:30s options. Or I may just go rogue and try 120s:45s (you know, just so I can live life on the edge 😎). 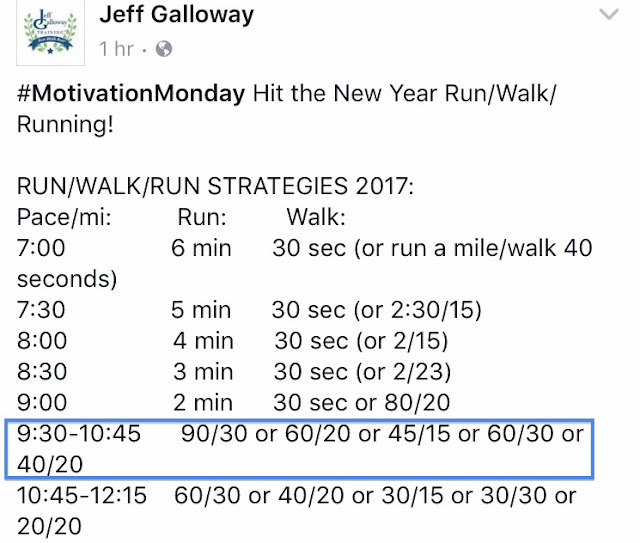 Plus, since I'm doing this running streak I will have countless opportunities (well, 363 remaining opportunities) to try different strategies. I'll keep you posted if I have "I'm getting faster!" good news 😉. 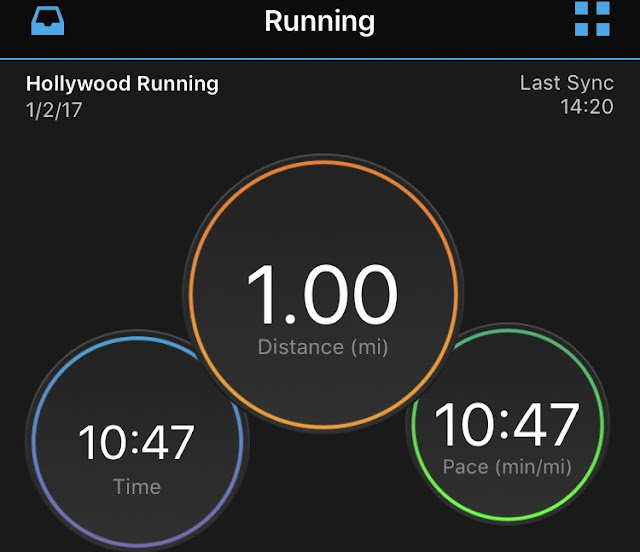 How do you try to improve your pace/speed? Have you ever tried the run:walk method? What intervals do you use? If you're a die-hard "run non-stop" runner, how do avoid injuries and the inevitable fatigue over 26.2 miles? Ive never tried the Galloway method. Running for me is soooo mental (like more than normal I feel) and I feel like if I stopped to walk I wouldn't be able to convince myself to keep running lol. But I do see people at races sometimes finishing before me who did intervals the whole time and it makes me think. Oh I was just going to add this might be why I have not felt capable of even aiming for a marathon yet. Try them over a longer run and see how you feel at the end. If you finish and feel like you could have gone longer then for sure they would help with marathon training, The key is not to wait until you are tired, The walk breaks should be strategic, intentional, and consistent.